The Seals soccer program covers the entire soccer year starting with pre-season summer camp, a fall and spring leagues as well as winter training and futsal season. Our NorCal travel teams also compete in the annual State Cup competition. Some teams may have current openings on the roster for the motivated soccer player to join our 2017-18 Program. Please contact us for more information. Please note that we do not solicit players currently on another SF soccer club. We are currently holding info sessions and tryouts for 2018-19 Program. Please click on that link for more information and to sign up for tryouts. Participate on a SF Seals team during the school year. Team membership begins in August 1 and ends in July 31st of the following year. Teams participate in the SFYS Recreational, SFYS CCSL Prep or the Norcal Leagues in the Fall and Spring and participate in Winter Futsal through SF Recreational and Parks Department. Throughout the year, SF Seals holds day clinics focused on player development to both current Seals and non-Seals players. Click here for more information. Each year, SF Seals holds a series of Summer Camps in San Francisco. Click here for more information and to register. Space is limited. 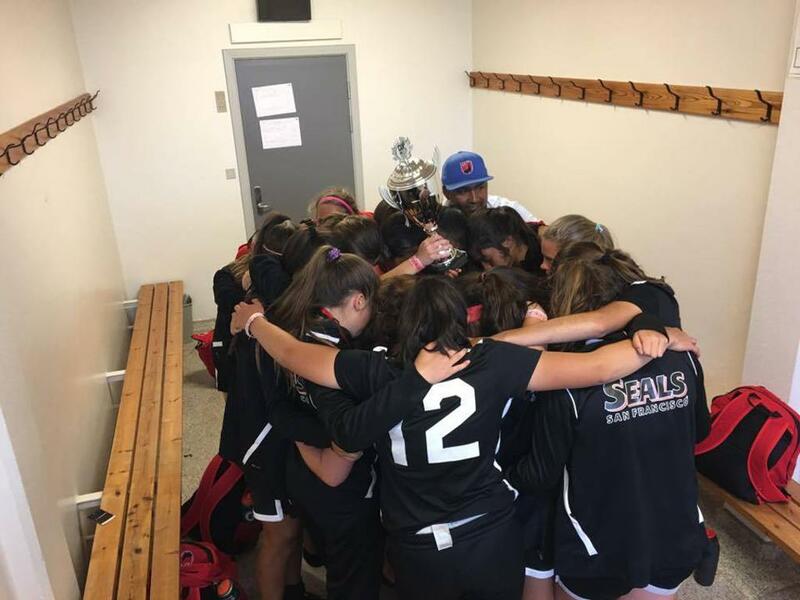 Each year SF Seals has taken one or more teams to participate in a Europe tour to compete in tournaments such as the Cup No.1 in Denmark and Gothia Cup (aka Youth World Cup) in Sweden. Click here for more information on this year's summer tour. Tryout information for 2018-19 Program year is now available. Sign up for more information and news as details are finalized. Each year SF Seals makes dreams possible for deserving players through their scholarship program. For the 2016-2017 season, SF Seals distributed over $55,000 in scholarships. Season Registration begins the Spring prior to the Fall Season. Once the season is in progress (August 1), please contact yjshin66@gmail.com if there is space for your age group.